Share your Referral Code or link with a prospective new player. They sign up with your referral code or link and get 5,000 UEC. If they buy a game package that is $40 or more you get a Recruitment Point. Sound like a challenge? It can be. 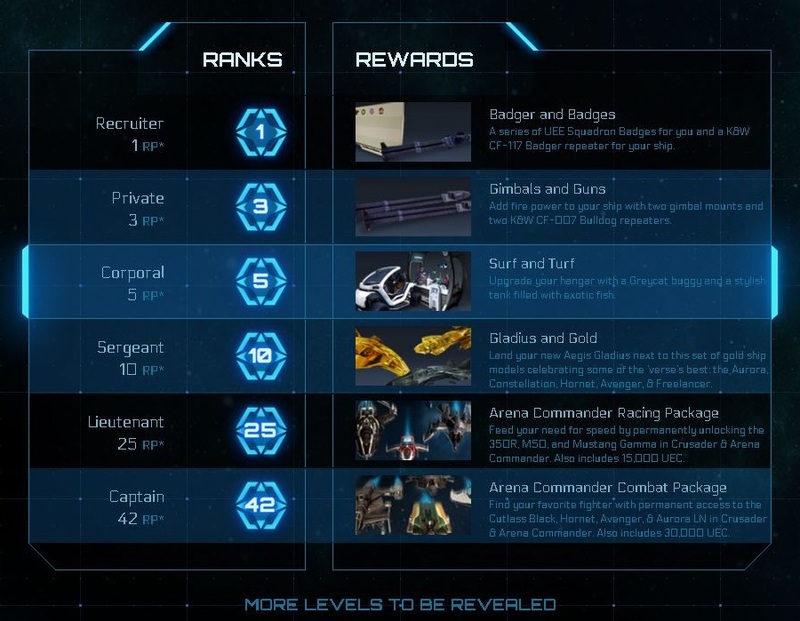 Luckily, we are on your side here and we’ve created the optimal Star Citizen Referral Program New Player Recruitment page using plenty of research and development. The best part is you can use your own referral code with that page. Bear in mind this page is optimized for gamers that haven’t heard about Star Citizen OR haven’t had much exposure to the game. IT IS NOT intended to be shared within the various online Star Citizen player communities such as on Reddit or the RSI forums. I promise you, it won’t be effective when 80+% of the audience you present it to already have an account and you will get quickly labelled a spammer. You can however share THIS page there so more people know about this outstanding opportunity we have put together to help the current Star Citizen Player community recruit new members. The entire idea is to spread the love and joy of Star Citizen to those pockets of gamers that haven’t been thoroughly introduced to it yet. Find your friends and family that don’t know about the game and share that link (with your referral code)! Now go out there and recruit some more Star Citizens for the UEE! Thanks! This scored me 3 referrals in 24 hours! I’d recommend this for anyone looking to maximize their star citizen recruitment points! The search engines don’t index these comments and the only people that visit this page are those that are also looking to earn recruitment points… you are preaching to the choir.